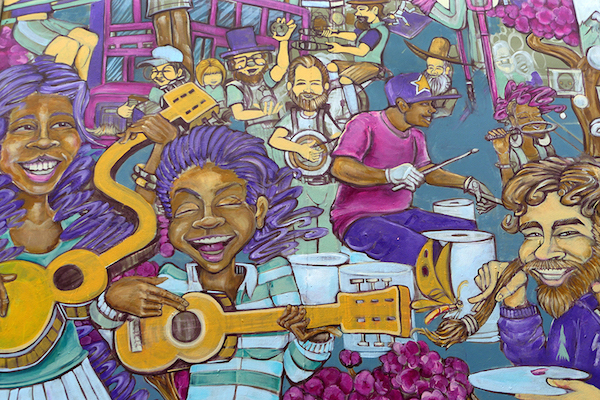 “The Last Thursday mural” was recently completed by artist Matt Schlosky. The mural can be found on the front of the Black United Fund building at 2828 N.E. Alberta St.
Now in its 19th season, Last Thursday is held on N.E. Alberta Street on the last Thursday of every month year-round. It is a venue for creatives, artists, musicians and performers, and the visitors who come to enjoy the display.